Hi bloggers, well I honestly don't know where the time goes and why I don't have any energy these days. Two weeks after our workshop and I finally get round to posting you the results from the day! Please excuse me as I will hopefully get back into the swing of things but I have to say I have said that many times and each time I still manage about a month between posts. 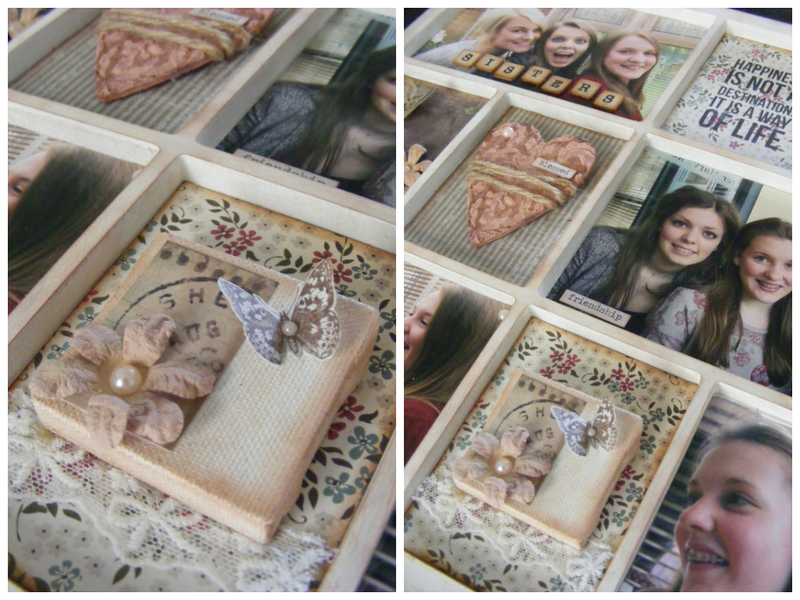 I love this beautiful girly collage photo frame from Heidi with bits of lace and pretty papers to capture memories between three sisters. Lovely. 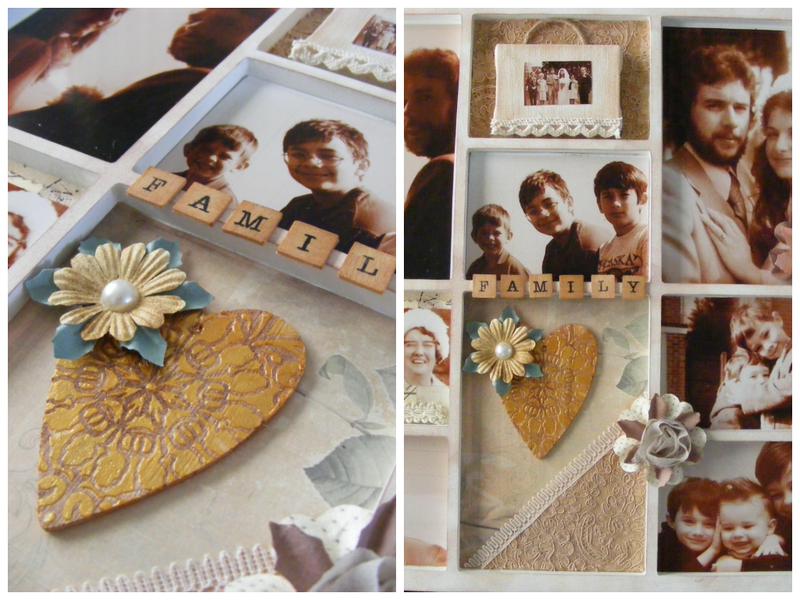 I love the use of sepia in the photos in this frame which really makes them pop out from the white frame that contains them. Also the simplicity of the embellishments which just shows that sometimes less is more. 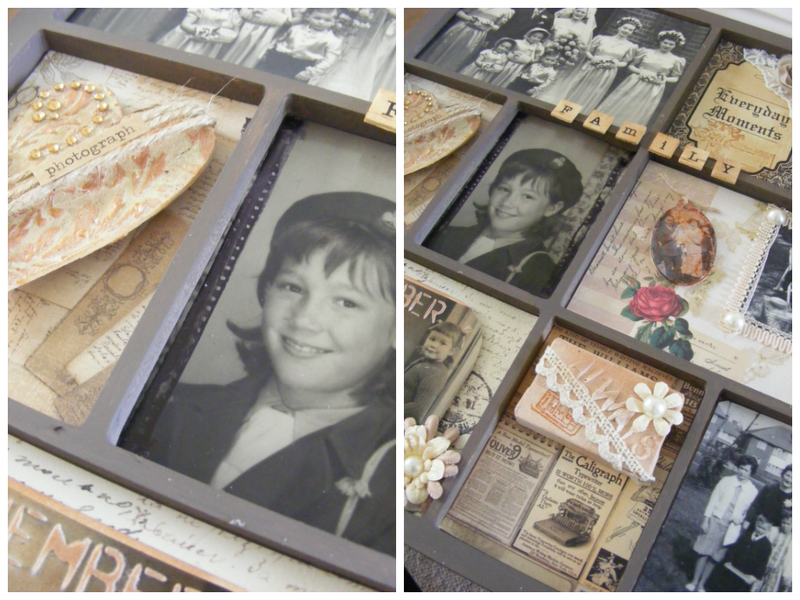 This frame by Lynne just screams vintage, from the black and white photos to the use of vintage designed paper in the background. Also love the use of the film strip edge stamp on top of the photos, really adds a nice touch. 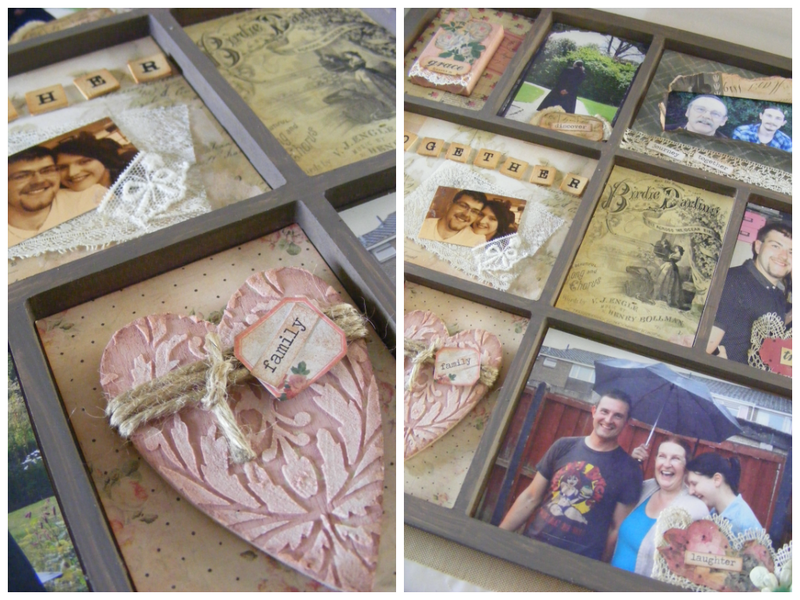 Another great photo frame from Pauline with intricate pieces of lace and little quotes to capture the memory from the photo. As you may be able to see from the close up of the heart, we used a technique in the class using Wendy Vecchi embossing paste and stencils. Once the embossing paste has dried (which you can use a heat gun for) you can apply paint or distress inks such as Tim Holtz distress line and then wipe off excess with a baby wipe. Marvellous! 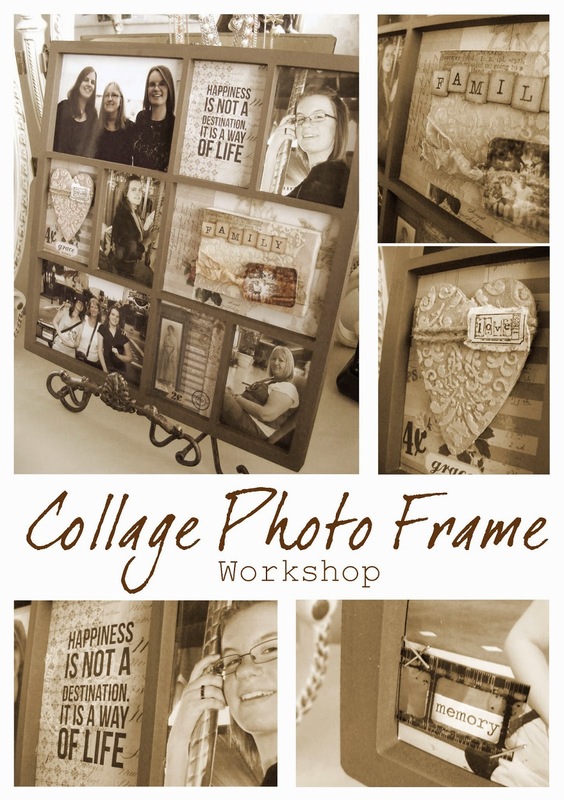 Julie's frame is an example of how you can easily make a gift for someone by decorating the frame, adding backing paper and embellishments and leave the photo filling to the recipient. I'm thinking Birthdays, Christmas, New Baby, Weddings and more..
All the examples above just go to show that you can transform these wooden frames in any way you desire. 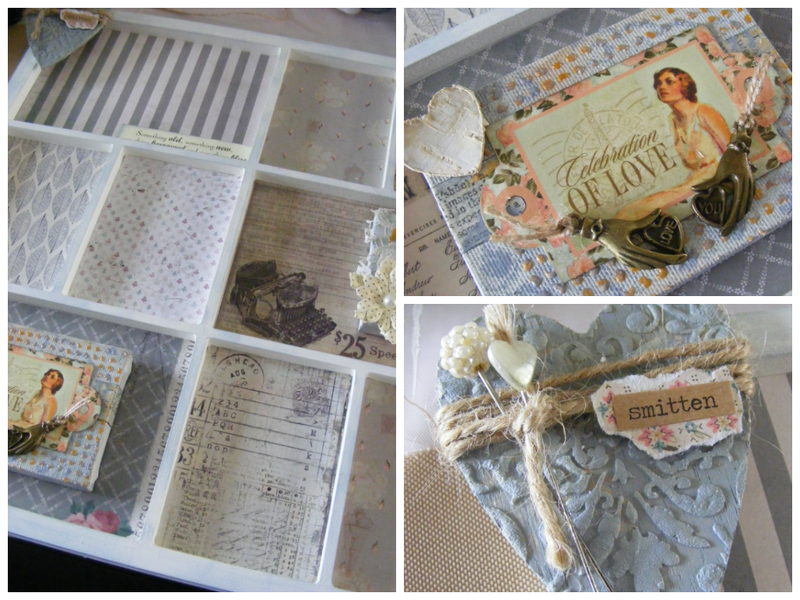 Choose a theme, whether it be vintage or a more modern scrapbooking layout using papers from American Crafts etc. Endless possibilities and they make great decorations to adorn your living space with.